This week's show kicks off with talk of Marshawn Lynch's visit to Turkey. Also, how he might be the best of the actors in a bio-pic that may not be released. The guys get into some free agent talk as players released this past week could have an impact with the Seahawks and Adam brings up a tight end who may be flying under the radar and would be a great fit in Seattle. Would trading up into the top 10 or top 20 make sense for a team like Seattle looking to find an impact receiver? In recent history, the answer seems to be yes. The final issue before the break comes from Wisconsin where a listener asks if athletes are held to an unfair standard. 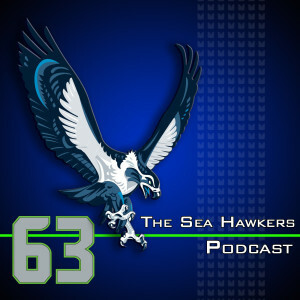 Keith Myers, the managing editor for 12thmanrising.com, joins us to discuss what the Seahawks salary cap looks like heading into free agency, some names the team may want to target, and how the team's greatest need may not be the positions most fans are talking about. Do better nods go out to current Eagles coach Chip Kelly and the agent of soon-to-be-former Eagles running back LeSean McCoy. Better at life honors are earned by Leonard Nimoy for his efforts as the greatest villain in Transformers history and Sidney Rice for his announcement toward seeking advancement of concussion research.